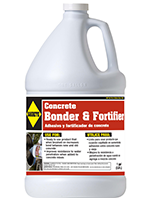 Dual use product that can be brush applied to old concrete surfaces to improve the bonding of new concrete to old, and can be used as an additive to concrete mix to increase its adhesion, impact strength and abrasion resistance. 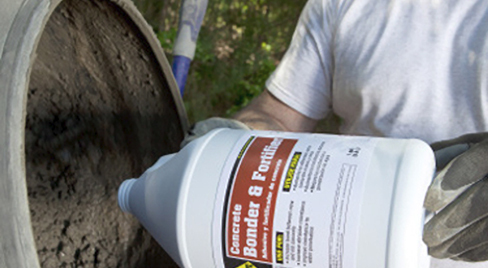 Add strength to your concrete project, or bond new concrete to old concrete. Dilute to use as an admixture. Can be brushed from the bottle for bonding applications.